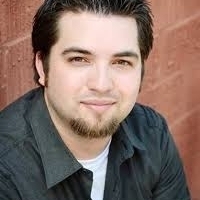 Anthony Wesley Bowling is an American actor and voice actor, who works for Funimation. He has provided voices for a number of English-language versions of Japanese anime films and television series, the best known of which is Ukyoin Samurai 7. He has also voiced the following roles: Tulio Oritio from Is this a zombie? Shiro Ashiya/Demon General Alchiel from The Devil is a part-timer, Shin Fukuhara from Baka and Test and is thrilled to be joining the conventions’s lineup this year.